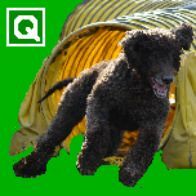 Node.js / Express website to find upcoming dog agility trials. I spent some 25 years developing innovative software and algorithms to acquire, analyze, display and store data from biotech instrumentation, mainly in Java. See "Past Experience" below. Most of my recent projects involve acquiring (see BayNode Meetup talk), distilling (see NextQ), and integrating data (e.g. map data) from outside sources. I'm getting pretty good at that. If you need help merging outside data into your web project, please contact me. HIV typing for drug resistance studies. Most of this work was done in C or Java/Swing using desktop PCs. I'm continuing to do some contract work in these fields.